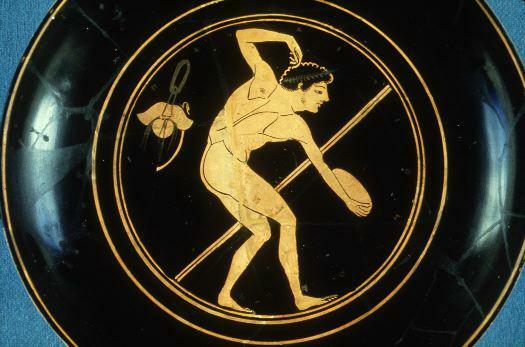 The ancient Greeks considered the rhythm and precision of an athlete throwing the discus as important as his strength. The discus was made of stone, iron, bronze, or lead, and was shaped like a flying saucer. Sizes varied, since the boys' division was not expected to throw the same weight as the mens'.